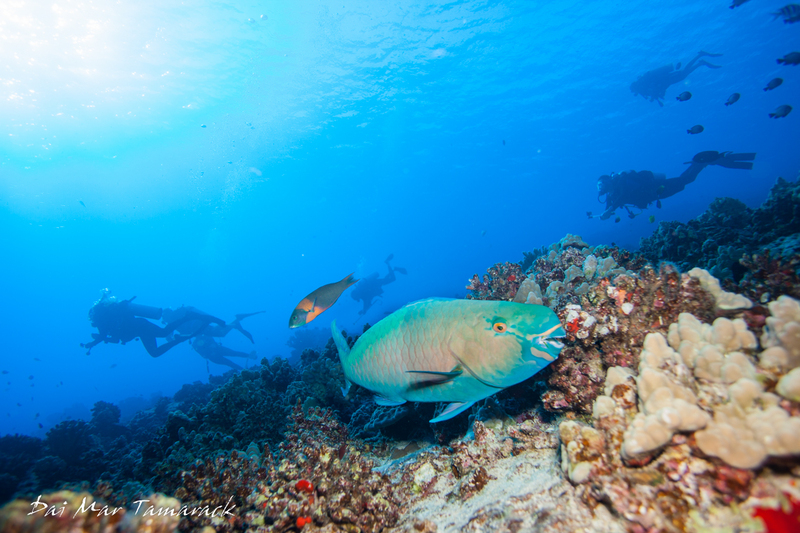 In a previous post I talked about the 'Big 3' scuba dives in Maui. 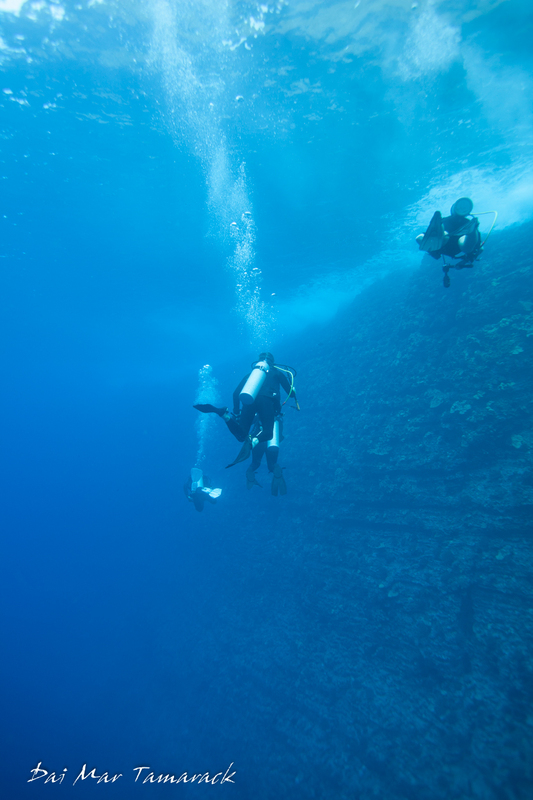 These three are Molokini Crater, Cathedrals, and Mokuhooniki Rock for hammerheads. I got the chance recently to revisit one of the Big 3, Molokini for some good old fashioned exploration of the deep time. The crater rises strait up from the submerged slope of Haleakala Volcano 300 ft down. 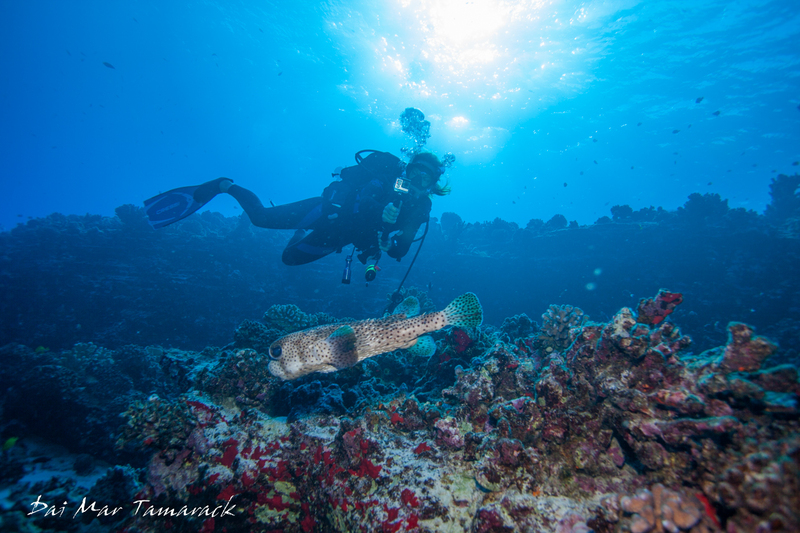 This easy access to depth, along with some of the clearest water in Hawaii provides a rare opportunity here in Maui where shallow shore dives are more the norm. 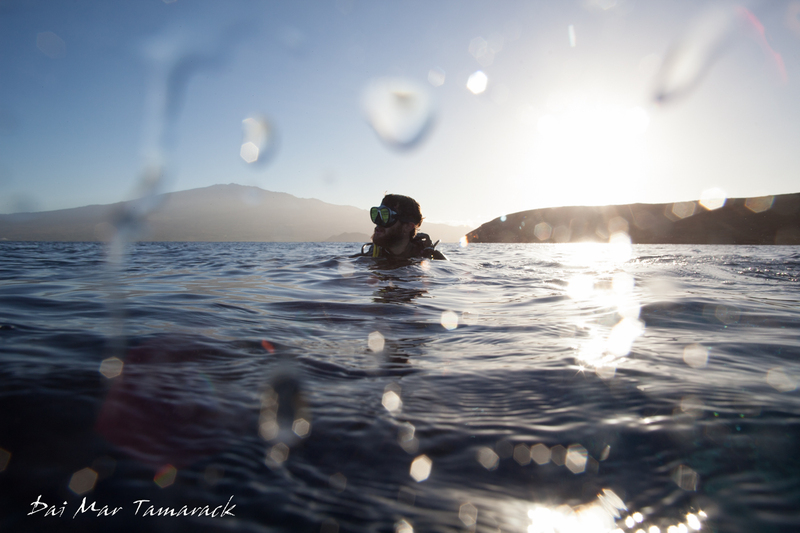 My buddies Jack and Lucy from Maui Dive Shop joined me on their day off to do some fun diving of their own. 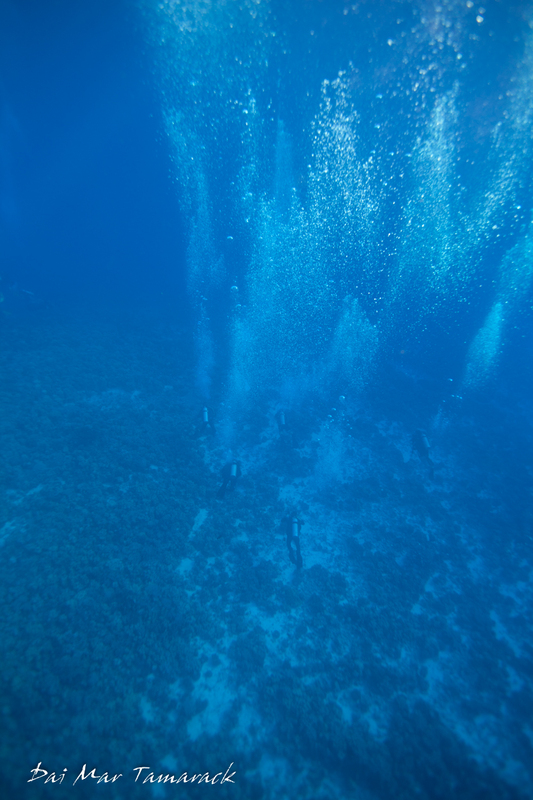 Our first dive was on Reef's End. This is one point of the halfmoon shaped crater which gradually slopes down to the abyss. 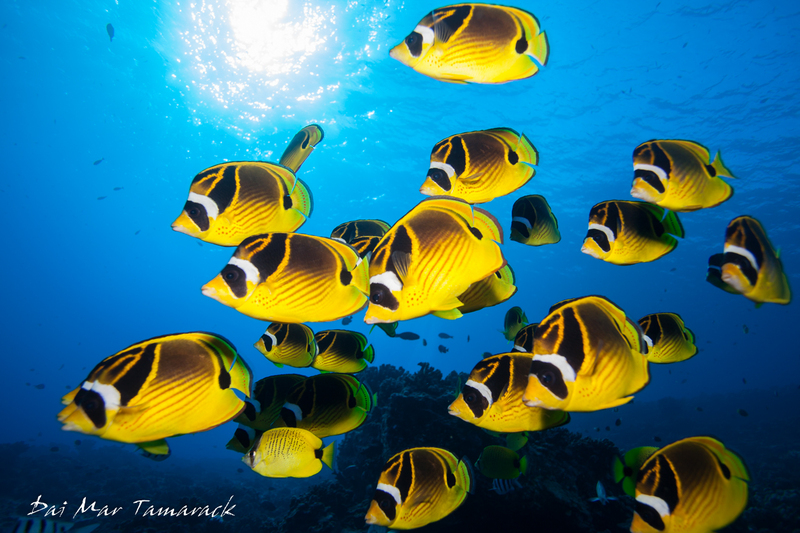 Schools of pyramid butterflyfish and garden eels greeted us about 60 ft down, then a school of grey reef sharks found us around 120 ft down. The sharks stayed a little too deep to get good pictures of but it was fun to see that they were still around. 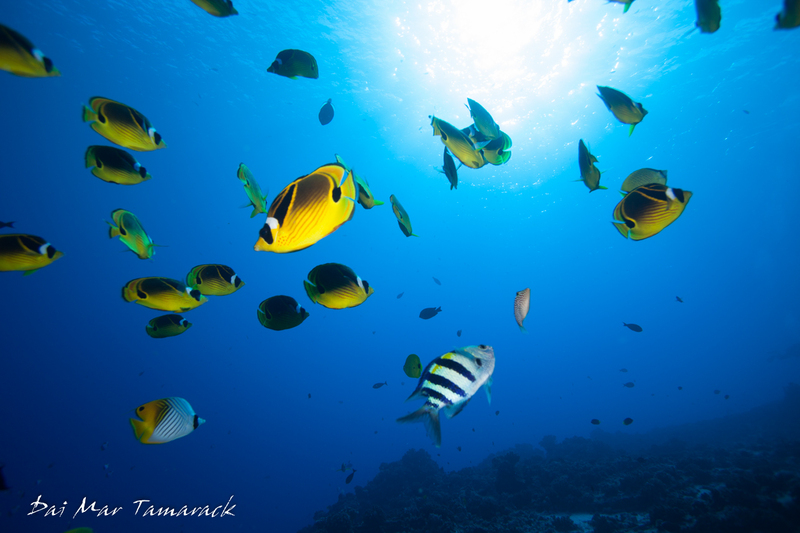 I remember seeing them back in 2001 when I did my first dive at Molokini Crater. The second dive was on the backwall. 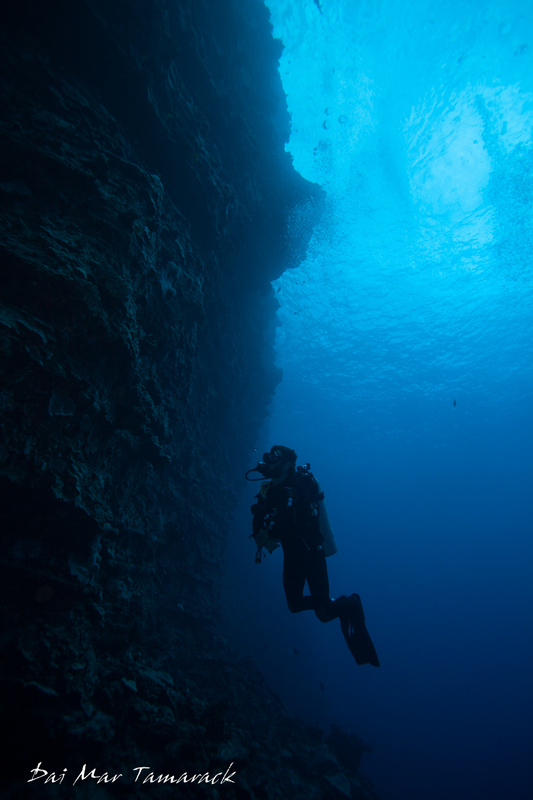 This dive is possibly the best wall dive in Hawaii, dropping down sharply to 300+ft. 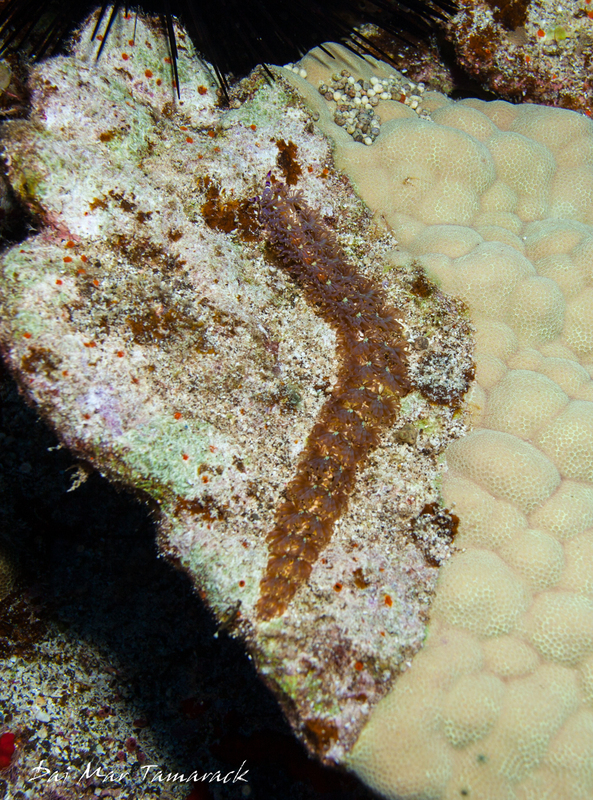 We found black coral growing under the overhangs around 100ft down. 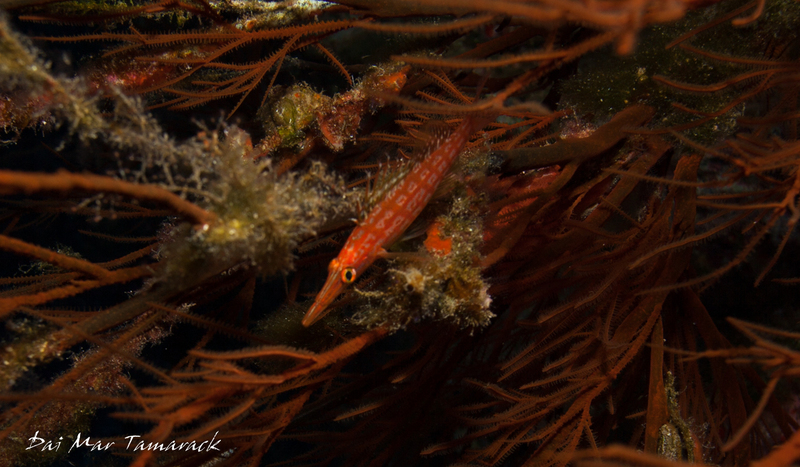 One of the black coral trees had a rare long nose hawkfish (Oxycirrhites typus) living among its branches. The humpback whale song was amplified by the rock wall and provided our background music for the entire dive. As our air and time ran low I spotted a shape out in the blue. 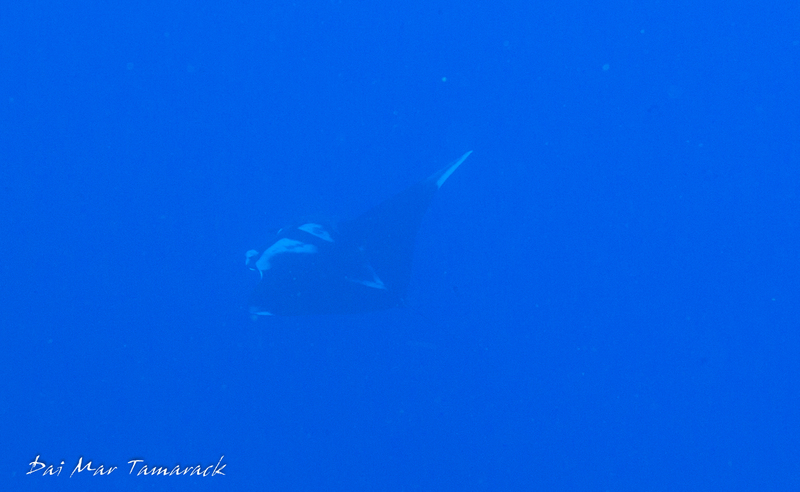 I got close enough to see that it was a massive manta ray but couldn't get too close as it stayed low and we were needing to hit our safety stop. We watched it out in the blue until is disappeared. 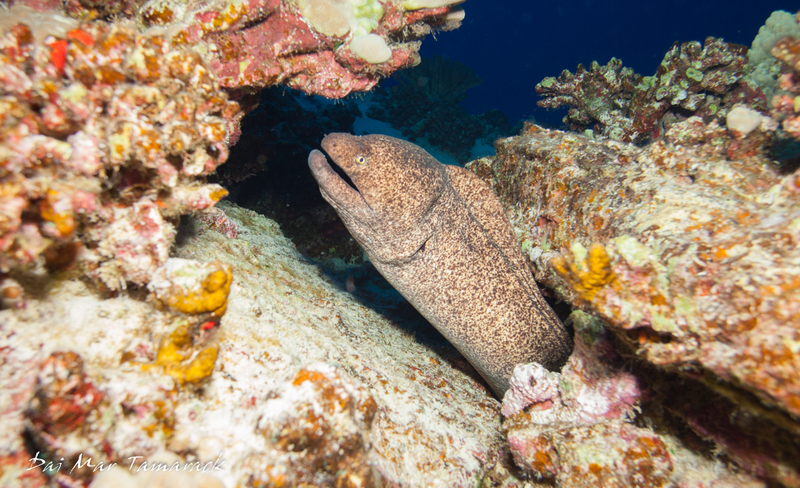 It was such a wonderful end to a couple of beautiful dives. Once back board we snacked and whale watched on the way back to Maalaea Harbor. 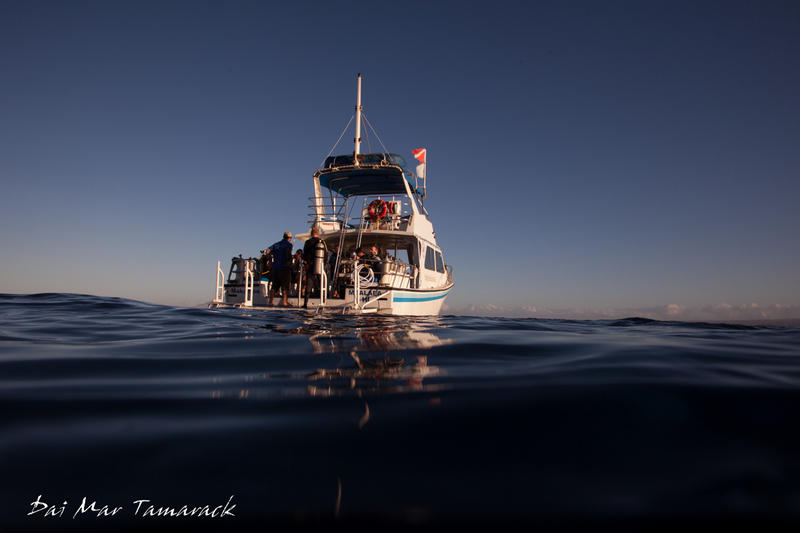 January and February are amazing times to be out on the water here in Maui. The humpback whales are here in mass, playfully splashing about everywhere you look.